It’s Time To Gather The Women! International Women’s Day just celebrated it’s 101st birthday on March 8th. 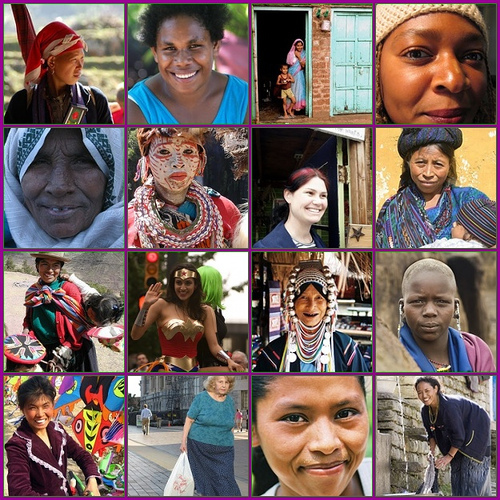 “This is a global day celebrating the economic, political and social achievement of women around the world. It is a national holiday in some 30 countries including China, Russia, Vietnam, Rwanda and Bulgaria. In 2010 there were approximately one thousand clebratory events in 64 Countries. On March 8, 2012, we will make history, with an unprecendetned celebration in every city around the world”. ….and YOU know we can create and manifest this!! Coming on the heels of my last post I wanted to share the video below with you and also give you a link to Women’s Day Live 2012, a vision in the making. It birthed on 3/8/11.﻿ The question posed by Lili Fournier (and ME!) is: How are you going to be a part of this? The video below is an inspiring one reminding us of the power that we hold collectively and collaboratively to empower ourselves and each other as women. It starts with you taking care of YOU….and then reaching out for that “sister’s” hand. I will be there with my hand and my full expression to meet yours… Empower Women, Change The World!